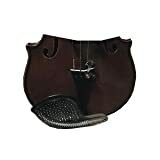 A cushioned, with removable, thin foam lining chin rest cover, slips over the cup of the chinrest and protects the player from the metal clamp, and provides buffer zone for player and chinrest. The cover can be secured under the violin with a rubber band. 4 Fine Tuners for 4/4 Size Violin, Black Base and Gold Screw, Well Made, Nice Set. 2 brand new full-size 4/4 inside layer cut maple violin bridges (unfitted), need shape to fit your strings and violin. Hand-Made with Carbon Fiber & Natural Mongolian Horse Hair; 3/4 violin bow, Round Stick, Silver Thread Winding; Ebony Frog, Well Balanced. Weight: ~2.17 OZ, Length: 28". Completely Hand-Made with Selected Pernambuco & Natural Mongolian Horse Hair; Octagonal Stick, Nickel/Silver Mounted; Ebony Frog, Well Balanced. Weight: ~2.18 OZ, Length: ~29". Balance point 18.5"-18.75" from tip. Loved by local students, but like more opinions from national or international violinists. In use, peel off plastic cover, put right position on chinrest. Chinrest must be same shape as in the picture. Rubber Tubing for Kun, Wolf, Resonans Violin and Viola Shoulder Rests feet. Great replacement for Kun and FOM, Must have for back up. Top Braided Carbon Fiber & Natural Mongolian Horse Hair; Round Stick, Silver Thread Winding; Ebony Frog, Well Balanced. Weight: ~2.16 OZ, Length: 29". Braided Carbon Fiber & Natural Mongolian Horse Hair; Round Stick, Silver Thread Winding; Fluer-de-lys Inlay Ebony Frog, Well Balanced. Weight: ~2.2 OZ, Length: 29". Quality Brazil-wood with natural horsehair, completely hand-made, light weight and well balanced bow. Silver Winding or Artificial Whale Bone Winding, Depending Availability. High Value, Low Cost. Size 3/4. Completely Hand-Made with Selected Brazilwood & Natural Mongolian Horse Hair; Silver Thread Winding; Ebony Frog, Fluer-de-lys, Golden, Well Balanced. Weight: ~62 grams, Length: 29". Balance point 18.5"-18.75" from tip. 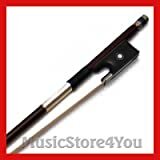 Hand Made Wooden Violin and Bow Holder, Finest Quality and Finish. 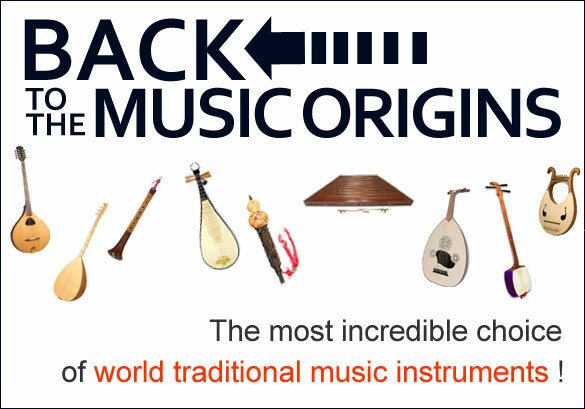 Violin is NOT included. Good for full size 4/4, Can fit small size violin if necessary. This Heavy Rubber 4/4 Violin Practice Mute provides a high level of muting while preserving more tone quality. It greatly reduces volume for apartment and late night practicing. Lightweight and safe. Five-prong.